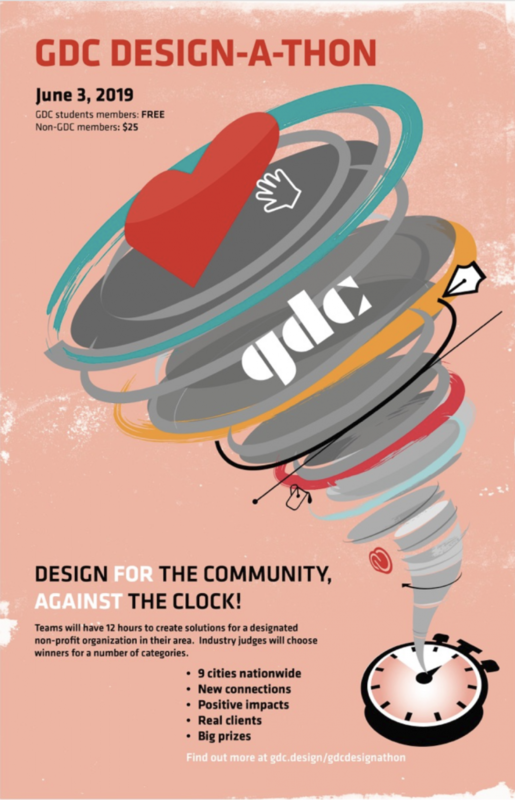 For my team (Aidan and I’s) project proposal, we designed a poster and microsite advertising a GDC designathon event. We also took the time to figure out the logistics of everything (budget constraints, timing, etc.) in addition to answering the brief’s needs in order to ensure that it was in GDC’s best interest to possibly implement this project in the future. The concept we decided on was time, and we chose to portray it with the imagery of a tornado, representing the chaos and flurry student teams may go through to produce a final product working against the clock. 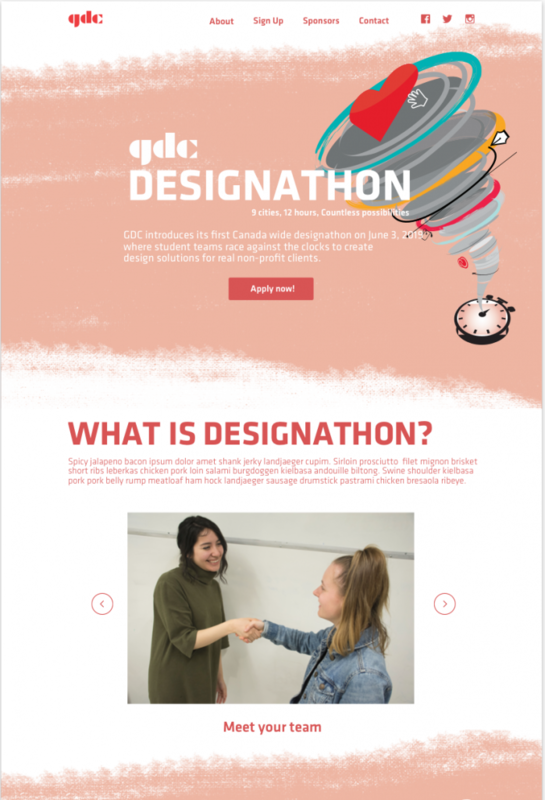 There are brush strokes in the background of both collaterals to symbolize the process of the ideating, sketching and revising that would be a big factor of the designathon event. The soft pink colour and heart is also used to emulate the non-profit aspect of the event, and how all the effort put into it is for a good cause. Aidan and I definitely jumped the gun in the beginning with settling on an idea, as we mistakenly believed that half the deliverables were due by next class. Looking back on the project, I believe that I could have definitely improved a lot in communicating better and overseeing each others’ work more to prevent revising and inefficient editing. This project was extremely helpful in giving us teamwork experience and insight into how the working dynamic is a lot different when you split the work and have differing opinions. We both sketched out minimal ideas, which in the long run, made our process much longer than it should’ve been. Throughout the project, I edited and gave insight on Aidan’s poster, and designed the microsite. I would give myself 6.5/10 for the work I’ve done, and am really appreciative of this project opportunity as it has given me real world experience on how I should be more proactive in a team, which I will definitely apply in future team projects. This concept’s visual theme is the blending of colours, which would be reflected in the logo, posters, and site. It is executed through illustration in order to appeal to the youth and distinguish itself from common photographic posters on school bulletin boards. Despite the use of primary colours, earthy colours are also incorporated to prevent the brand from looking too childish, as it targets an older youth audience. The earthy tones also represent how important nature is in Indigenous culture. The Tofino font was chosen as it is a casual and friendly sans-serif that is intended to welcome its youth audience. Arial was chosen to compliment the type for better legibility. artists. The illustrations displayed are simply for the purpose of a school project. 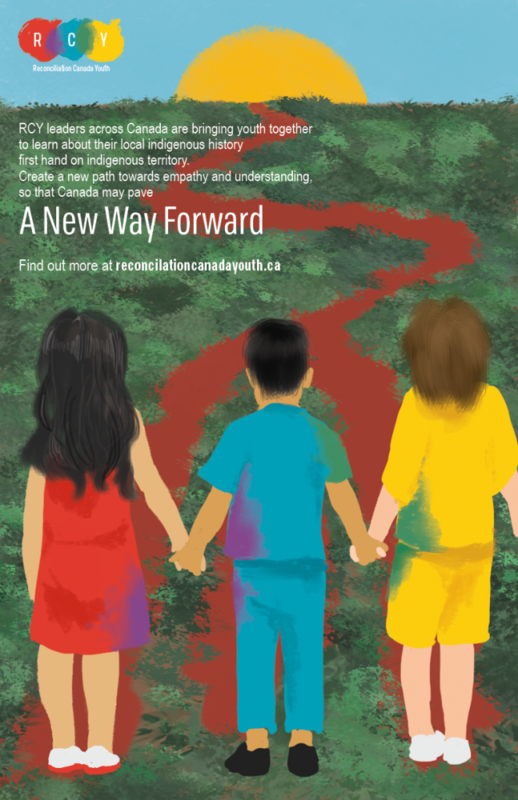 There is indigenous symbolism apparent in the poster: The red road, symbolizing the right path to life. 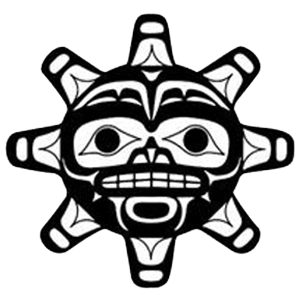 When actualized, the sun should be the Indigenous traditional sun, which can vary depending of the location of schools its placed in (Different locations may have different indigenous tribes, which may be represented in slight variations of posters. I would critique myself 5/10, as it was hard for me to garner enough research material to fully understand the culture and to represent it accurately. The type accompanying the poster does not complement the illustration, but rather, seems like it is simply plastered on top. In addition, my deliverables are minimal and not executed at a grander scale. Taking away from this project, It was hard for me to execute as I wasn’t sure of what my boundaries were and was extremely uneducated in the topic. However, the interaction with the Indigenous film class was extremely valuable as I was able to hear first hand for the first time, their side of the story. I also had a better idea of where I should draw the line. The people of that class were extremely helpful in guiding us towards the right direction, and gave us a more concrete path towards our end product. Created by Dossier, it is a summer internship that brings business and design students together to create solutions for businesses as well as the Vancouver community. For my resume, I utilized the predominant red present on Railyard Lab’s site to associate with their branding. The red encompasses the entire resume in hopes to garner more attention. In my personal profile, I expressed my passion for both business and design, as well as my capabilities, catering to their brand mottos. I would give myself 5/10 for this project, as there is no creativity in my resume. 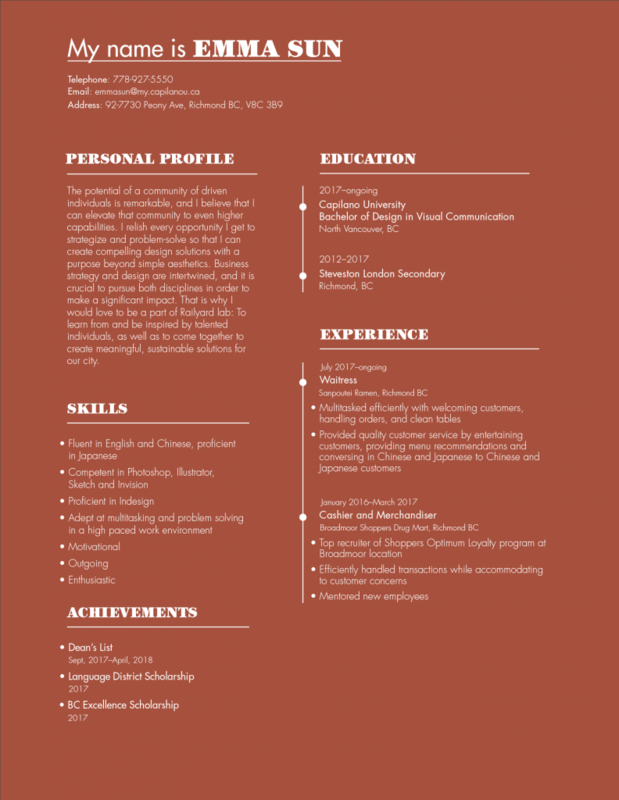 Although I was striving for minimalism, my resume turned out pretty bland. I now realize that I should showcase more of my design skills because Railyard lab looks for diversity in their prospects, and people who stand out. In my design manifesto, I describe the 4 pillars of sustainable design on the left side of the building. On the right side, I describe my own beliefs in relation to how I can contribute to creating sustainable and meaningful design. 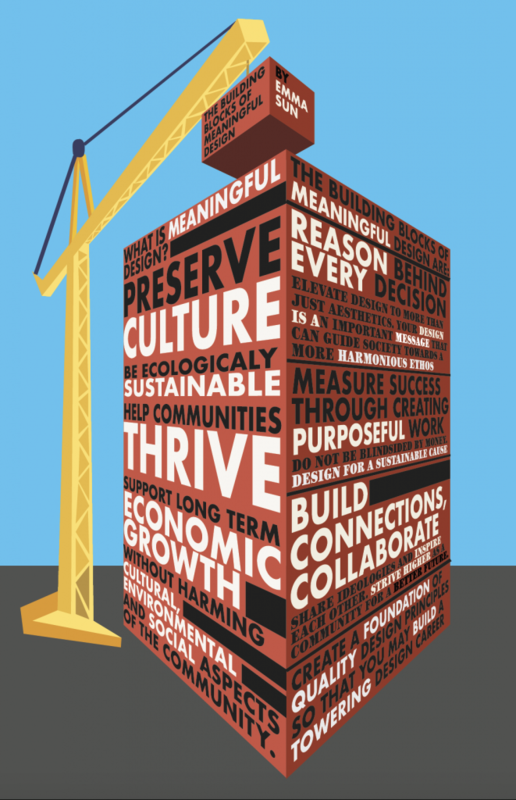 The construction and a building as imagery is a metaphor for having “quality design principles” as building blocks to create a solid “foundation” for building a design career. To make this scenario obvious, I used red to emulate a typical red brick building, as well as a blue sky, yellow crane and cement pavement. In my manifesto, everything is said in short statements so as to have a higher impact and be straight to the point. Certain words are highlighted in white to exhibit a sense of importance, and to create divisions in the text so that the words do not get mixed together with a lack of hierarchy. On the right side, lines are also employed to separate my individual beliefs. Overall, I give myself 9/10. I dedicated a lot of time to this assignment and had revised and made a few versions of the poster based on the critiques I received from my teacher and my peers. In comparison to my past work ethic, I feel proud that I had actually taken the time to revise and correct details. This is also my first time creating a project in Illustrator, as I have been trying to avoid it due to my lack of knowledge using the program. I’m glad I took the time to learn, so as to build up experience in using a program I will definitely need to rely on in the future. Welcome to Capilano University ePortfolio Sites. This is your first post. Edit or delete it, then start blogging!